"Every aspect of your life is now on your phone," said Kui Ren, PhD, director of the Ubiquitous Security and Privacy Research Laboratory (UbiSeC) at UB, and one of the study's lead authors. "That is your security hub. It is really critical now." Ren, a professor of computer science and engineering in UB's School of Engineering and Applied Sciences, doesn't mince words when discussing the importance of better cellphone security. "Hackers are out there, more than you can imagine. There is a whole underground grey market to sell your password and your personal information," he said. "Technology is advancing so fast; we have to think of different ways. The strategy is using multiple lines of defense. We call that defense in depth," he said. "With the Internet of things, what is a security interface? It is not like the phone. There is often no touch screen or keypad so voice authentication may be useful." he said. A third method is replaying someone's actual voice, and here is where Ren's invention comes in. Any replay must be broadcast on a speaker, and speakers have magnetic fields. Ren's system uses the magnetometer in a phone, which is there for the phone's compass, to detect a magnetic field. In addition, the system uses the phone's trajectory mapping algorithm to measure the distance between the speaker and the phone. It requires a phone user to be close to the phone when speaking to guarantee that anyone using a replay of a voice over a mechanical speaker is close enough that the magnetic field can be detected. Several of Ren's former and current PhD students are co-authors of the study, including Chen, Sixu Piao, Cong Wang, and Qian Wang, in addition to Lu Su and Aziz Mohaisen, both assistant professors in UB's Department of Computer Science and Engineering, and Jian Weng from Jinan University, China. 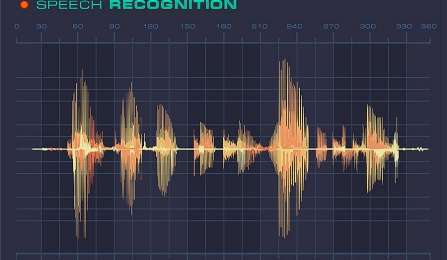 "We cannot decide if voice authentication will be pervasive in the future. It might be. We're already seeing the increasing trend," Ren said. "And if that is the case, we have to defend against voice replay attacks. Otherwise, voice authentication cannot be secure." I suppose this era of vulnerability will begin to subside once our electronics are internalized and identification can be based on our DNA. This is fairly sharp; security in this area is lagging a bit, so hopefully this will let the clueful protect themselves until these vulnerable apps can armor up. The security-in-depth approach is certainly one that should be followed in the future. Single point of failure for security relevant procedures invites disaster. Biometrics (voice, retina , fingerprint) have been heralded as secure - but it turns out they can be cicumvented almost as easily as passwords. What is worse: while you can change a password you cannot change your biometrics -so once compromised they are forever compromised.